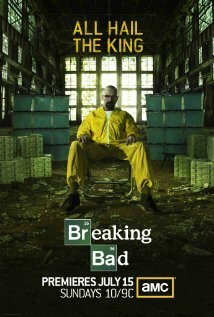 Walter White is a high school chemistry teacher who is the very definition of mild-mannered. He lives a quiet life with his wife Skyler and their teenage son who has cerebral palsy. His main concern is teaching his class well and making sure his wife and son have everything they need. He even works at a car wash to further help ends meet. However, everything changed for Walter when he learns that he has lung cancer, and that, though he can undergo treatment, could likely be fatal. Either way, he is going to need a good deal of money, either to pay for treatment or to leave as a nest egg for his family when he is gone. Money he does not have and is not sure how to obtain. At first, Walter deals with his anxiety over his condition (which he keeps a secret from his family) by becoming far more aggressive and assertive in his life, to the astonishment of others. It seems to Walter that, now that his death from cancer seems imminent, the rules have changed for him. Then, just when he thinks he has no hope left, a couple of chance occurrences give him an idea. His brother-in-law, a DEA agent, informs him of the staggering amounts of money that they seize when they bust methamphetamine manufacturers, Walter begins to think about the possibility of setting up his own meth lab. After all, he reasons, with his chemistry expertise, he could easily create a quality product that could make a great deal of money. However, he lacks the necessary criminal collections to make it as a meth dealer. That’s where his former student, drug dealer Jesse Pinkman, comes in. Desperate to do anything to help his family, Walter gets involved in the shady dealings of the meth trade, dealing with dangerous people and learning to do dangerous things himself. Walter begins to discover just what he is capable of doing, and not all of it is good. 04 April 2010 - Season 3, Episode 3: I.F.T.